General Electric chairman and chief executive Jeff Immelt, shown after the groundbreaking for the company’s new headquarters in Fort Point, is stepping down. General Electric Co.’s Jeff Immelt will step down as chief executive this summer, an earlier-than-expected departure that will leave Boston’s biggest company under new leadership just a year after it relocated from Connecticut. 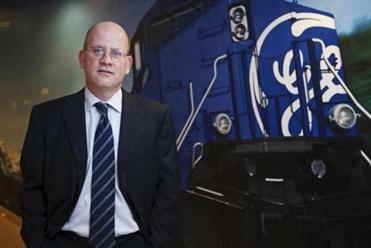 John Flannery, the 55-year-old head of GE Healthcare, will take the reins as CEO on Aug. 1, the company said Monday. Immelt dramatically transformed General Electric during his 16-year tenure as its top executive, selling businesses such as its appliances unit and NBC Universal to focus on bringing its mainstay industrial lines into the digital age. Now, it will be up to Flannery to execute his mentor’s vision in a way that satisfies GE’s increasingly impatient investors. Analysts said Flannery, a 30-year GE veteran, will face challenges but has the right combination of financial and operational skills. In an interview Monday, Flannery said he’ll take the strategies he used to turn around the health care business he has run since 2014 and apply them to the entire company — a 300,000-employee operation that generated nearly $125 billion in revenue last year. Immelt moved GE’s headquarters to Boston’s Fort Point section from Fairfield, Conn., last year, saying the company would benefit from the city’s cluster of universities, health care organizations, and innovative startups. But he has also been under pressure from investors to show results, mainly to increase the company’s stock price and profitability. Flannery has been with the Boston-based company for 30 years. GE’s stock rose 3.6 percent Monday on a down day for the markets. Immelt, 61, will remain chairman of GE’s board before retiring on Dec. 31, when Flannery will take on that role as well. Immelt’s pension benefits are valued at about $81 million, according to regulatory filings. It was no secret that GE was looking for a successor to Immelt, who has run the company since the days just before the 9/11 attacks. For the past two years, GE watchers had been paying close attention for signs of who would emerge as his replacement. Other internal contenders included chief financial officer Jeff Bornstein, power business chief Steve Bolze, and oil and gas CEO Lorenzo Simonelli. But Monday’s announcement came sooner than many anticipated. 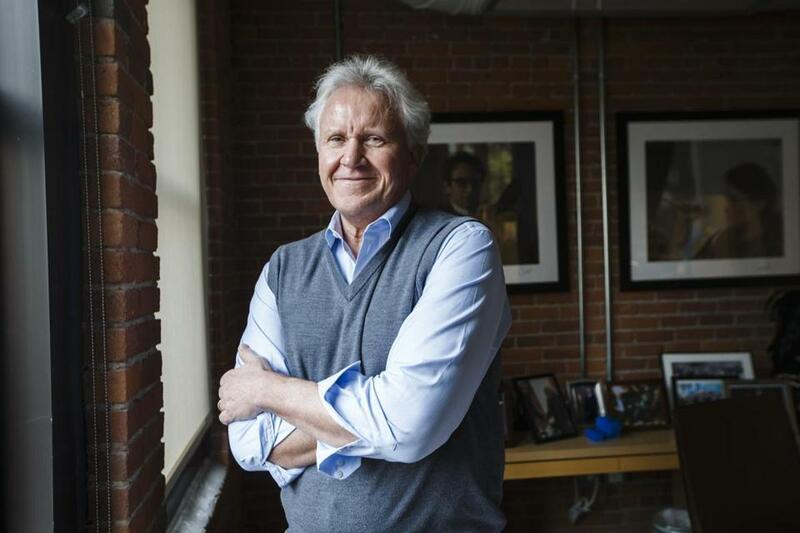 Immelt has worked to become known in Boston’s business circles and had bought a $7.5 million home in the Back Bay last year, just before the corporate move. By contrast, few local leaders are familiar with Flannery. However, Immelt, in an interview, said the transition had been in the works for several years, with a long-established goal of picking a successor by this summer. The board approved Flannery’s promotion on Friday at a meeting in Boston. “Really over the last couple of weeks, the board and me were converging on John being the right guy,” Immelt said. Flannery, a Red Sox fan who named his dog after Mookie Betts, will move to Boston from Chicago. The company isn’t wavering from its plans to construct a three-building, $200 million headquarters campus in Fort Point over the next two years. Flannery said he is embarking on an in-depth review of the entire company and its numerous business lines — an array of manufacturing operations ranging from MRI machines to train engines to wind turbines. He hopes to complete that review by sometime this fall. He avoided offering much in the way of details for those next steps, instead telling analysts on a conference call that he wants to take “a couple times around the track looking at the business” first. Other challenges await. Flannery still needs to ensure a smooth integration of GE’s recently acquired Alstom energy business and complete the merger of GE’s oil-and-gas equipment operations with Baker Hughes, a deal that won approval from the Justice Department on Monday. He’ll also have to figure out ways to expand the use of GE’s Predix data analysis software through more of the company’s in-house operations and to outside clients. “He’s definitely got his work cut out for him,” Noverini, the Morningstar analyst, said. GE’s business looks different today than it did when Immelt took over for Jack Welch, whose ability to deliver steadily rising earnings made him a favorite of investors. Immelt’s goal in recent years was to make GE more streamlined, stripping away finance and consumer businesses to focus on what’s known as the “industrial Internet” — a term GE uses to describe how to use software and data to make machines smarter and more interactive. GE’s move last year from the sleepy suburbs of Connecticut to the heart of Boston was key to this transformation. Immelt said he wanted to walk out his office door and bump into the latest engineering whiz from MIT. “The relocation to Boston was a pretty big statement as it relates to how they view their future to be in the space of innovation,” said James Rooney, chief executive of the Greater Boston Chamber of Commerce. Immelt also wanted a big culture shift. He asked employees to think more like they work for a startup and less like they work for a giant company, one with more than a century of corporate history. 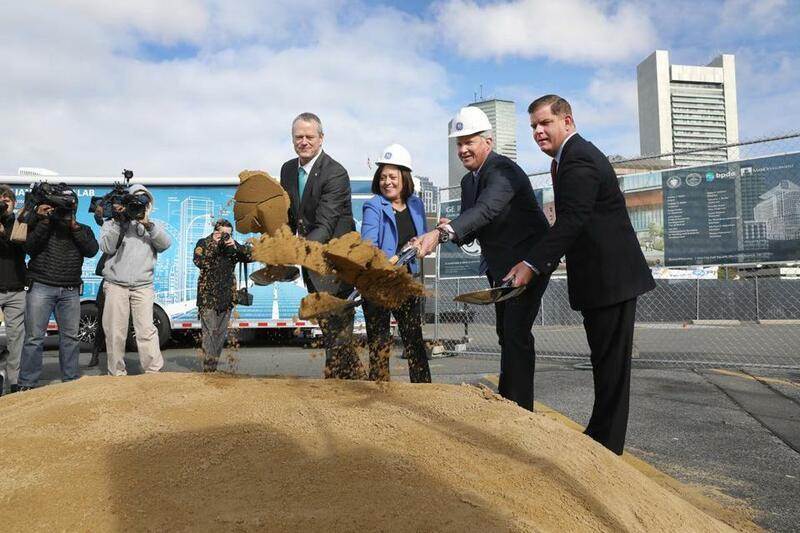 GE’s announcement about the leadership change comes about one month after Immelt joined with Governor Charlie Baker and Mayor Martin J. Walsh for a groundbreaking ceremony at GE’s future headquarters site overlooking the Fort Point Channel. Jeff Immelt (second from right) took part in a ceremonial groundbreaking last month in Fort Point. The mayor said he does not know Flannery but praised his extensive background in health care, adding that his expertise will be a boon for Boston. Immelt leaves behind at least one important piece of unfinished business, as far as investors are concerned. GE’s stock has been trading in the $28-a-share range, roughly where it was before the company’s shares plunged during the Great Recession. The stock fell close to $6 a share in 2009, so it has essentially recovered since then. But it has been stuck in a bit of a holding pattern for the past year. The list of frustrated investors notably includes Nelson Peltz at Trian Partners. GE recently announced it would more closely link executive bonuses with the company’s performance, in part due to pressure from Peltz and his firm. Trian declined to comment on the leadership transition on Monday. GE’s shares closed up $1 to $28.94 on Monday. Under Immelt, the stock has been the worst performer in the Dow Jones average, falling 30 percent while the blue chip benchmark more than doubled. GE didn’t mention the tangling with Peltz and Trian in the company announcement on Monday. Instead, the focus was on Flannery and his long list of accomplishments with the company. According to a regulatory filing, the company set Flannery’s compensation at $2 million, with a target bonus of $3 million. Immelt’s salary last year was $3.8 million. His total compensation, including bonus and stock awards, was $21.3 million. Flannery joined GE in 1987, working with GE Capital, where he initially focused on evaluating risk for leveraged buyouts. He moved through far-flung outposts of the GE empire, including stints in New Delhi, Tokyo, and Buenos Aires. Flannery will be replaced atop GE Healthcare by Kieran Murphy. Meanwhile, Bornstein, the CFO, has been promoted to vice chairman. Local business leaders are unfamiliar with Flannery. But they said they’re hopeful that GE’s decision to promote an executive from the health care business is promising for Boston, a global hub for health care research and life sciences. Sean Smyth, Meghan Irons, and Shirley Leung of the Globe staff contributed to this report. Jon Chesto can be reached at jon.chesto@globe.com. Follow him on Twitter @jonchesto. Correction: An earlier version of this story misstated the year Jeff Immelt became CEO of GE.